Sports & Leisure canoes are designed for people with a purpose – fisherman, hunters, photographers, bird watchers and others who want a stable canoe that’s easy to maneuver and manage in and out of the water. Sports & Leisure hulls are relatively short, wide and deep. They have full bottoms for a solid “footprint” in the water, making them stable and secure for paddling with active children or a jumpy dog. Deep enough to haul all the gear you need, they’ll remain stable in choppy water. 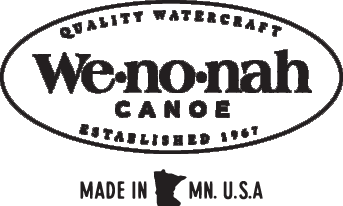 This short, wide canoe is stable enough to "set the screws" to a 6 pound largemouth bass exploding on your top water frog or lay back and relax in as you watch a mid summer's night meteor shower. The Backwater square stern canoe is for sportsmen with motorized intentions. The rigid aluminum and wood mounting bracket makes for quick and easy addition of a small motor. If your sporting plans call for a lot of gear, tackle, decoys, and a dog, the Kingfisher is your canoe. It's a great boat for catching sharks and snook in the no motor zones of the everglades or just taking the kids fishing for blue gills at the lake. Fisherman, sportsmen, and families alike will appreciate its extra stability and surprising capacity for a 17 foot canoe. With this great capacity, this canoe will be well suited for an afternoon paddle, or a two week trip.